PassMeFast now offer intensive courses in the Chester area! Learn more about how you could learn to drive in Chester in just weeks. If you’re based in the Crewe area, including Sandbach, Nantwich, and Alsager, you could pass fast with one of our intensive courses. Learn how here. Don’t wait around—get your licence fast in Ellesmere Port! Learn about our courses in the Ellesmere Port area, including Neston, Elton and Ince. If you live in Macclesfield, Congleton, Bollington, or anywhere in eastern Cheshire, then you could pass in weeks with one of our courses! Find out how here. Book your course today in the Northwich area and learn to drive fast! 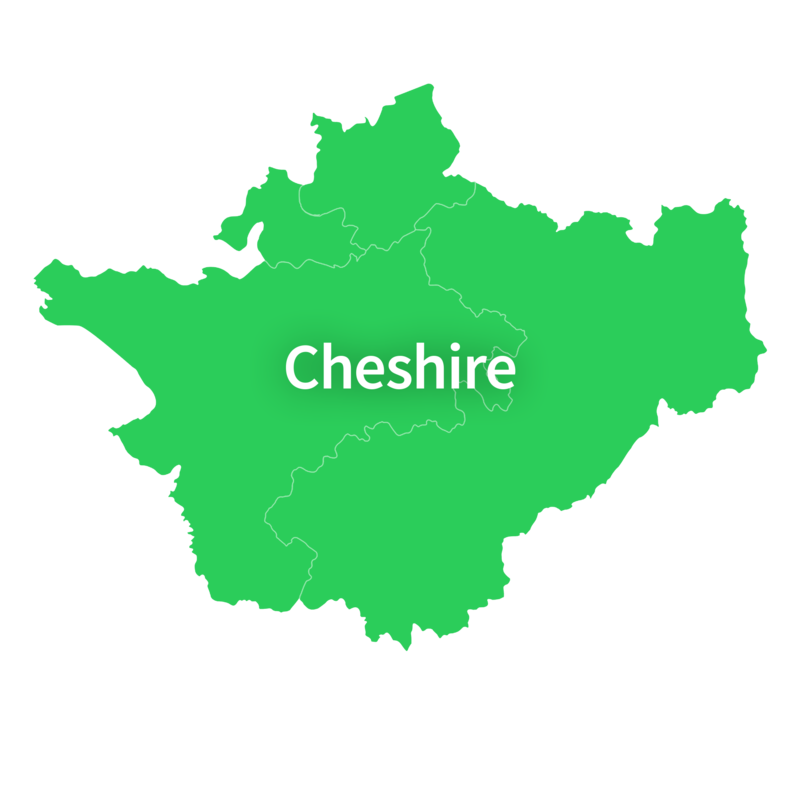 Our instructors cover all of central Cheshire—learn with them and pass in weeks. Learning to drive in Runcorn means you can explore a huge area far beyond the town’s two bridges! Find out how to get passed fast with us in Runcorn. Why wait to learn to drive in Warrington? We cover the Warrington area—including Birchwood, Culcheth and Lymm—helping you pass in weeks. Live in Widnes, Cronton or Hale? Take a course with PassMeFast and get on the road fast! Learn more about our intensive courses and fast-track tests. Learners in Wilmslow, Handforth, Knutsford and Alderley Edge can get their licence fast with PassMeFast! Read all about it here and get on the road.